There was no common stir when the World Bank figures hit the newsstands on the need for the Federal Government to invest about N2.88 trillion ($8.3 billion) in order to effectively check open defecation in different parts the country. Anxieties further grew when the global financial body further reeled out that 25 per cent Nigerians engage in open defecation. Worst still, was the gloomy statistics which showed that only three out of the 774 Local Government Areas in Nigeria is Open Defecation Free (ODF). This came at the backdrop of warnings by many global health agencies who have stressed that the investment in OD is critical to Nigeria’s attainment of Goal 6 of the United Nations (UN) Sustainable Development Goals (SDGs) in 2030. The agencies also revealed that over 88 per cent of cases of diarrhoeal infection in underage children in Nigeria were caused by open defecation (OD). Specifically, the United Nations Children Fund (UNICEF) Water, Sanitation and Hygiene have said that open defecation is happening on a large scale. Yeo said only three out of the 774 Local Government Areas in Nigeria is Open Defecation Free (ODF). The WASH specialist said this while making his presentation titled; “Overview of Water, Sanitation and Hygiene Situation in Plateau State” at the dialogue organised by the Child Rights Information Bureau of the federal Ministry of Information and Culture in collaboration with UNICEF. He said that, Nigeria has a long way to go to become open defecation free by 2025. Yeo further said, 40 per cent of some communities with intervention still practice open defecation. This he said was due to ignorance of the effect of open defecation. The UNICEF WASH Specialist said there is need to encourage open discussions about OD, so that people can be aware of its dangers and scale up hygiene in the rural communities. The federal government has developed a road map to end open defecation,Yeo noted. He added that, if state governments adopt domesticate and fund it, the country will be looking forward to achieving open defecation free. 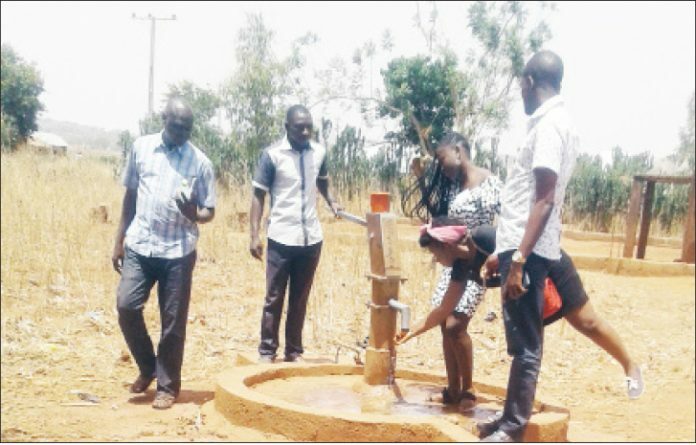 Earlier, Mr. Zaid Jurji, Chief of UNICEF’s Water, Sanitation and Hygiene, (WASH) Nigeria, lamented that less than 10 per cent of Nigerians have access to safe water, while 90 per cent have no access to safe drinking water. Jurji called for more serious budgeting allocation to WASH, reasoning that if Nigeria should triple its investment to a minimum of 1.7 per cent from the current 0.6 per cent GDP, it would meet the SDG by 2030. The WASH Specialist in his presentation titled; ‘Overview of water, sanitation and Hygiene situation in Nigeria,’ at the dialogue decried the impact of unsafe water and poor sanitation to every parts of human life, particularly, the development and survival of children. Speaking on the hygiene situation in the country, the UNICEF scribe disclosed that the recent Multiple Indicator Cluster Survey released for 2016/207 showed that 25 per cent of Nigerians defecate in the open; a situation he said, was more than Canada population. Earlier in his opening remarks, Olumide Osanyinpeju, Deputy Director, Child Right Information Bureau, Federal Ministry of Information and Culture, Abuja, noted that water, sanitation and hygiene is very important in the life of a child in line with the SDG 6. “Water is essential for the survival and development of all children. Without water, children simply cannot stay alive or thrive in a healthy environment. Osanyinpeju further said that research has also shown that regular hand washing with soap can reduce the incidents of diarrhoea, a deadly disease to children. On his part, Engr. David Wuyep, Plateau State Commissioner for Health, who declared the conference open, restated State Government’s commitment to providing counterpart funding needed to improve water, sanitation and hygiene in the state. How Does Fibromyalgia Affect Pregnancy?